How will self-government affect youths? 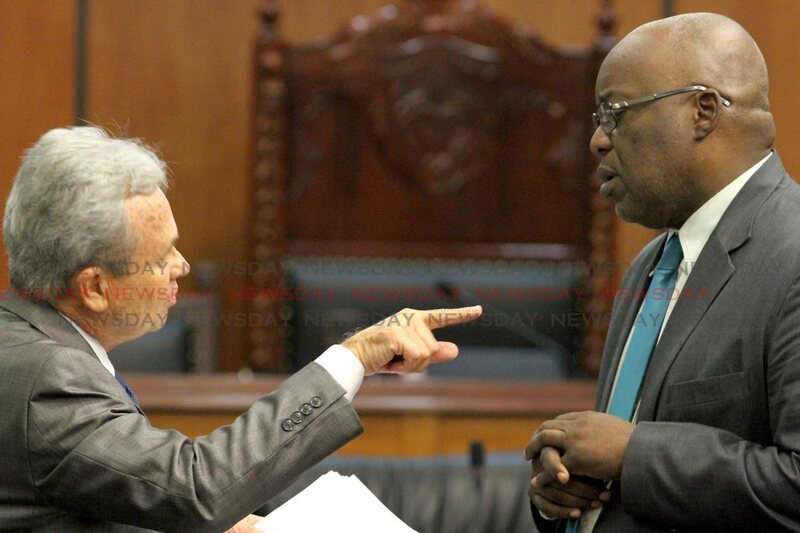 Finance Minister Colm Imbert, left, speaks with Chief Secretary Kelvin Charles in Parliament last month. TO what extent will Tobago truly be able to govern itself, and how will self-government benefit the youths? These are the burning questions being asked by young people on the island as the Government prepares to bring legislation on internal self-rule to the Parliament, according to president of the Tobago Youth Council (TYC) Latoyaa Roberts-Thomas. She said while the young people welcome the move to give Tobago greater responsibility in managing its affairs, they are deeply concerned about the manner in which the plan would be carried out. “Will we still be within the remit of Trinidad and Tobago, to get the leeway to do certain things, because we are still governed by a constitution or will it be full (autonomy)?” Roberts-Thomas asked. Roberts-Thomas told Newsday Tobago the council held a community outreach exercise at Speyside High School in April at which they gauged feedback on the much-touted legislation. She said based on the feedback from the students and the council’s own deliberations, it was agreed the existing construct of the Tobago House of Assembly (THA), “in terms of composition and representation,” is ill-suited to the development of the island. Roberts-Thomas said this must be urgently revisited. Even so, Roberts-Thomas, who assumed the position of president last year, said the council was concerned about the capacity of the island’s citizens to manage their own affairs. “We feel that, yes, Tobagonians are educated and maybe able to manage, but young people aren’t really given opportunities to really get into strong leadership positions to even govern anything. Roberts-Thomas said in the area of development, people felt the government was not catering to the island’s future generation. “I know a lot of the young people were talking about the non-traditional industries being developed on the island more, when it comes to technology, culture and arts. No emphasis has been there when it comes to developing the economy. Roberts-Thomas said Tobago’s ability to actually support its 60,000 population was also a major concern for the council. “As a small community, there is still going to be heavy reliance on Trinidad for economics and trade. So then, to what extent are you really self-governed? “So, whether we get internal self-government or stick with the current position, it is not going to change because we are a small economy in the first place. During a series of community meetings in Tobago, earlier this year, Chief Secretary Kelvin Charles urged Tobagonians to be vocal about the proposed legislation. In his budget presentation on October 1, Finance Minister Colm Imbert revealed the legislation to grant self-government to the THA has been through a Joint Select Committee and is expected to be brought to the Parliament soon for debate. “This bill promises greater financial flexibility to the Tobago House of Assembly in the management of its fiscal affairs and gives it greater predictability in developmental planning for Tobago,” Imbert had said. Reply to "How will self-government affect youths?"